As I’ve pointed out before, Facebook started out as a local site — a closed network for high school and college students built around schools in particular places. Several years later Facebook is one of the Internet’s dominant companies, with more than 400 million users globally. It is now, according to Compete, Inc., the second most trafficked site on the Internet, possibly on its way to dethroning Google as number one. 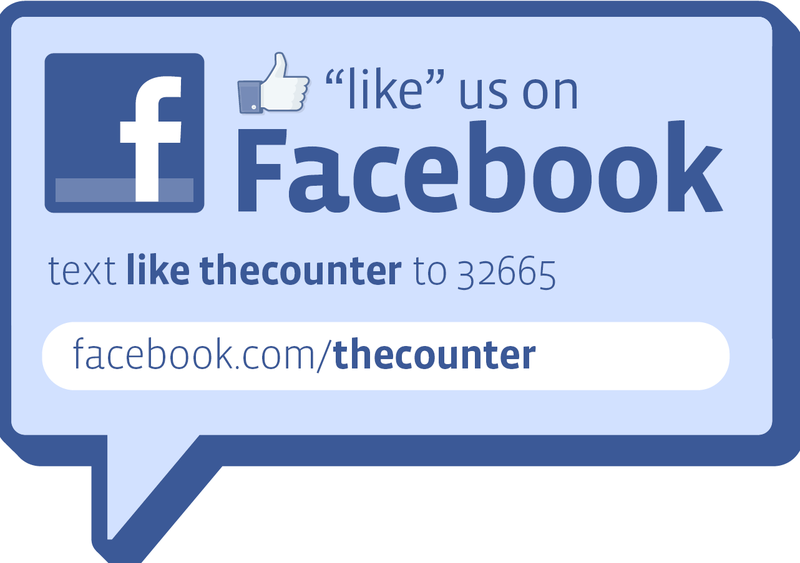 In February Facebook said that “more than 1.5 million local businesses have active Pages on Facebook.” That figure was roughly double what had been reported just a few months before. My guess would be then that the 1.5 million is now closer to 2 million. Several days ago I got a casual email from someone at Facebook saying that there would be something related to local coming out soon and that I should be hearing from another person on the PR team. Yesterday around dinner time I and some others received a note that a unspecified number of small businesses with Facebook Pages were given “Facebook stickers” (window decals). The parallel to Google’s “Favorite Places” window decal is obvious. The Google window sticker includes a “QR” code. Scanning the Google QR code with your mobile phone takes you to the Place Page for the business (which now has a mobile-friendly version). Yelp of course has had window decals for some time, though they’re not “interactive.” And before Yelp there were Citysearch and AOL and other window decals for local businesses. Beyond the fact of its existence, the interesting angle here is that by texting the short code you become what used to be called a “fan” of the business. 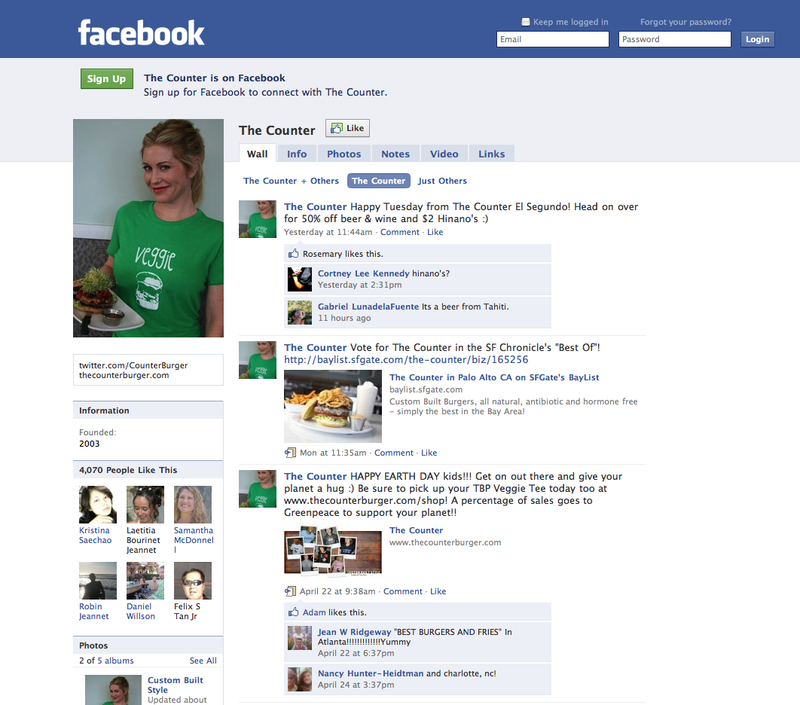 Here’s the public page for “The Counter,” a restaurant in Palo Alto, California. The integration of SMS into these decals, with the practical result that the SMB “acquires” a follower who then will receive status updates (and promotions) on his/her mobile phone, is very smart on several levels. There’s a much more tangible and immediate benefit to the SMB vs. Google’s QR codes: the business builds its “fan” base. Then it can market to those fans through their news feeds. What’s more, Facebook causes more people to link their mobile phones with their accounts (as a secondary benefit). Heretofore Facebook had been focused on moving SMBs into Facebook Ads, and apparently many have used/tried them. But there are more things related to SMBs and local up Facebook’s proverbial sleeve. These stickers should be seen as “step one” of a new focus and move into the segment. This entry was posted on April 28, 2010 at 10:50 am and is filed under Local Search, Mobile, Small Business. You can follow any responses to this entry through the RSS 2.0 feed. Both comments and pings are currently closed. What I find most interesting about this move – and it’s interesting on many levels – is that it demonstrates a clear cultural difference between Facebook and Google. The Google choice to use QR codes was clearly an engineering driven decision. In other words, it was a somewhat forward looking, complex, solution to the problem. As Mike B and I discussed on his blog the other day, QR Codes are cool but definitely an early adopter tool. SMS, however, is already ubiquitous. This has the opportunity to be put to use by anyone, not just the leading edge of smart phone users **who will take the time an energy to download a QR code reader**. I think you’re exactly correct around the cultural analysis. ….and Round 2 of the local battle goes to……Facebook. Great point Will. Those who can translate the technology for the “common folk” will win future rounds and eventually get the (technical) knockout. Very interesting… Facebook definitely has a huge opportunity with local SMBs. This isn’t good for AT&T (Buzz) or other yellow page companies. I think there’s a “movement” toward things that operate like reviews but are more “compressed”: top lists, “tips” (Foursquare) and Likes. Reviews will remain a part of the Web experience but these other ways to more quickly express an opinion or provide information will broaden who participates and may replace reviews in certain contexts, especially in mobile. So how exactly do i get one? This is still a bit of a test for FB. They’ll probably make these more broadly available in the near future. Just in case you weren’t in the lucky group of people that received decals from facebook, check out socialmediadecals.com. They have decals for facebook, twitter and other social media sites. They can also create custom decals for you!